The ready-to-use silicate glass based Vintage Art LF paste stains offer excellent handling and application properties as well as outstanding coverage due to their ultra fine particle structure. They are available in a number of nuances and offer various porcelains a natural shade appearance and individual characteristics by internal or external staining. 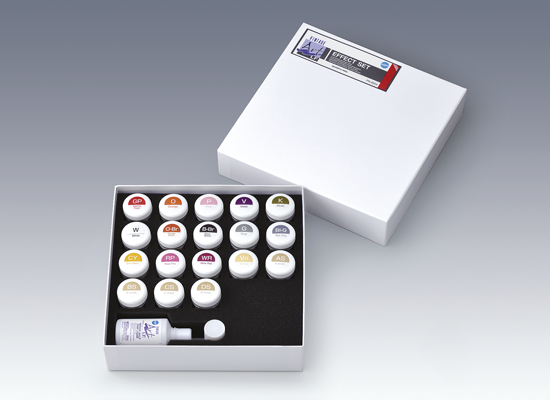 In order to cater to different demands of aesthetic restorations they are available in a total of 23 shades.